my englisch is not the best, and this mod, is the first, i made compatible with Icy Phoenix. Now the Advanced Dungeon and rabbits mod 0.45 is very customisable Role Playing Game . And this mod is also a huge mod where i could do some misttakes in the code. So please go to this site and say me, where are the problems. If all works fine, i reales this mod for anyone. Please Help me. And when someone could speak german, here is a better Topic. At first sight I didn't saw anything else. I hope it will help you. Icy Phoenix handles bbcode a lot different to phpBB, so that is going to make it just a little bit harder to fully convert. And if you need help with that, then you would probably need to pass the MOD to someone who can read the script / code to see where the changes need to be made. Can i download this mod? First, i'm glad that in such short time, so many people tested this mod. @Yros: I fixed the mistake. I had it with the last version, too. But in the update it sneaked into again. @Lopalong: It's a snippet, that i have forgot to delete in the code, but now it works. @Informpro: I only found this official version of the mod here. Where you find a new version? @pax: Now i must make a mod out of this first with many paperwork. Sorry, that you have to wait a bit. @ all: I forgot to say, that i need an Admin tester for this mod. Mean, i need someone to change all in the ACP to test all fuctions. So please inform me over this topic or pn, if someone is interested. 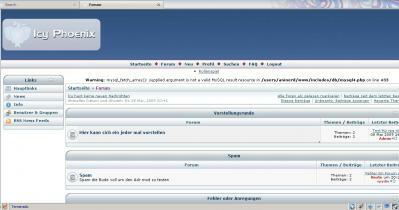 And all Tester should make a topic or answer in the Forum to test the compatibility with the cash mod. Have fun to test it furthermore. Thank you OneWHoShanks for the Link and Thank you for the PM. i saw only, a link on the side : here is the newest version ( 0.4.5 ) and not the topic. So i will update all again and i need still a Admin tester. If someone has time to test ist, please inform me. But the release will need more time. I found a new Error and must work on it. Admin tester= someone to test the admin Oo" ? Yes, i mean that Admin Tester == Someone change all in the ACP for the rpg. And with the French file, I have only the german and the englisch lang. And i updated the Mod now to 0.4.6 . Have a look in your site forum. Unexisting table in bank link. 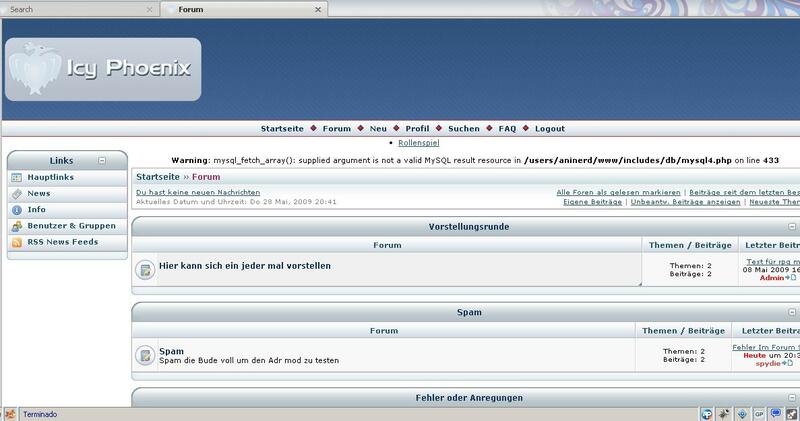 articlss in forumshop double shown. BTW could you post your Mod here for download so i can have a look at the script changes made . any update on this conversion? the last time i looked it was stuck with the same problems. there´s still a problem calling smileys and chat files.